Meet at Harbourview Hotel in the iconic Rocks anytime from 6.15pm and enjoy a meal before being escorted by staff to join the Rhythmboat at 8.45pm for a 1hr cruise around Sydney Harbour and experience all Vivid has to offer from the harbour. 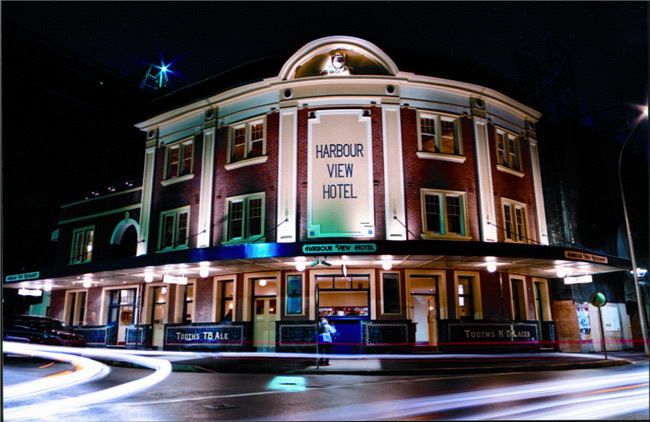 You may choose to walk around the city before arriving at the Harbourview Hotel for dinner or you may do so after your cruise returns at 10pm. Get a group together and make the most that Sydney has to offer. 1 hr cruise on the Rhythmboat. Both the Rhythmboat and the Harbourview Hotel are licensed venues, therefore NO Byo. Drinks available for purchase at reasonable prices. Vegetarian and Gluten Free options available upon request.